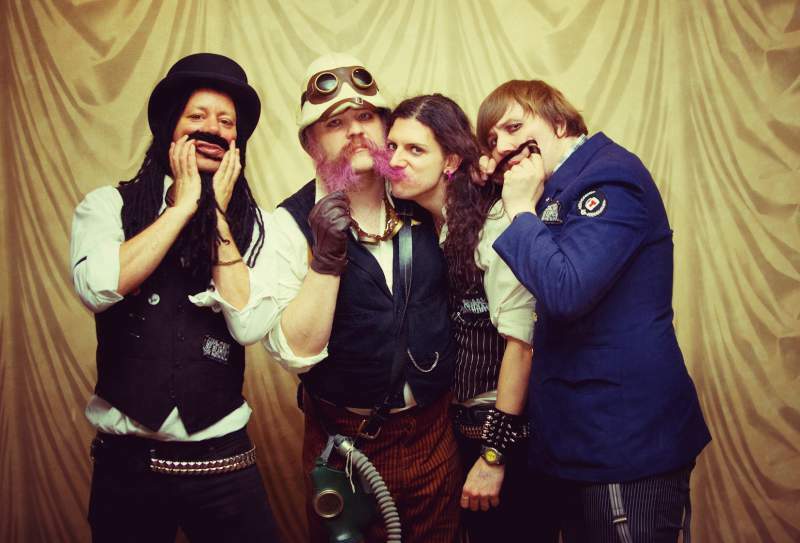 On Friday 21st November, anarchic, anarchronistic steampunk group The Men That Will Not Be Blamed For Nothing will be rounding off their miniature UK tour at Newcastle’s Think Tank. The band personify everything about the term “steampunk,” by blending tales of Victorian intrigue with the attitude and sound of 1977, their original mix of horror, humour and history has delighted fans and critics alike, the band have previously been subject to potential legal action by EMI over the title of their record Now That’s What I Call Steampunk! Vol. 1. No threats of a lawsuit can hold the inventive group back, especially since Andy Heintz was diagnosed with throat cancer in April. Despite the shocking news, the band (stand-up comic Marc Burrow, ex-Lords Of The New Church man Jez Miller and Radio 4 personality Andrew O’Neill) are determined to keep the show on the road. Don’t miss the opportunity to see them “kicking cancer’s arse”! The Men That Will Not Be Blamed For Nothing play at Newcastle’s Think Tank on Friday 21st November.